Time to start the Valentine Cards. I made this one out of several different products, and both digital and 3 dimensional items. 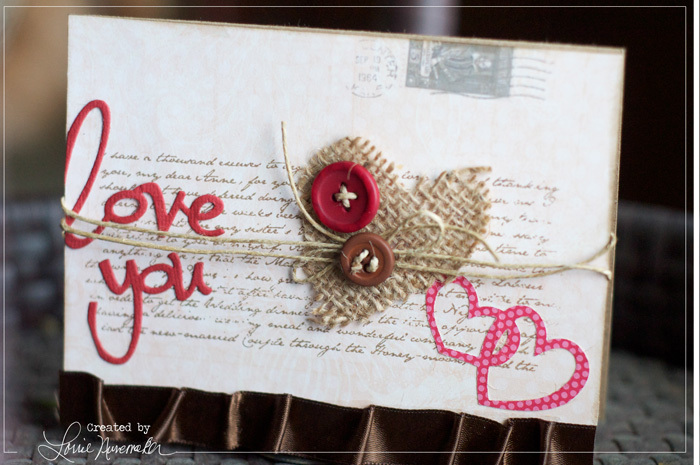 The love you and hearts are from a cuttlebug die, I cut the burlap heart by hand, the stamp is a digital element as is the writing on the postcard. The paper is a patterned Pink Paislee paper with a faint pink design to it.